The initial move was to eject Kurdish peshmerga forces from the city and province of Kirkuk. Kirkuk had been under Kurdish control since 2014 when the KRG deployed its peshmerga there to defend the city against the ISIS threat. It also moved forces into Ninawa (Niniveh) province to stop further ISIS advances after the city of Mosul fell to the group. The Iraqis have also notified the KRG leadership that they intend to exercise federal control over the entire Iraqi border, including the KRG borders with Syria, Turkey and Iran. The first KRG border area to be placed under federal control will be the Semalka border crossing - more commonly referred to as the Faysh Khabur crossing, named for the town closest to the crossing. 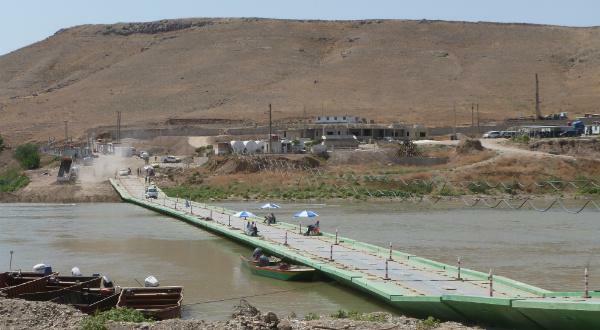 The crossing is also close to the point at which the borders of Turkey, Iraq and Syria meet. The timing of this move is interesting. With ISIS's loss of territory, Baghdad now has the resources to reassert control over Iraqi territory that the Kurds have defended since 2014. It is also a month after the Kurds conducted a referendum on declaring an independent Kurdish state, infuriating the Iraqi leadership. I don't think it is a coincidence that Baghdad is also moving to control all oil operations in the country, including those in the KRG. However, I believe the primary motivator for the "federalization" of the borders is an agreement between Turkish President Recep Tayyip Erdoğan and Iraqi Prime Minister Haydar al-'Abadi. Both leaders share a common desire to make sure the Kurds do not achieve greater autonomy. Al-'Abadi is concerned with the Kurds in Iraq, while Erdoğan is concerned with the Kurds in both Iraq and Syria. Having the Iraqi federal government control the only border crossing between the KRG area in Iraq and the Syrian Kurdish area would be beneficial to Erdoğan. It can get worse. 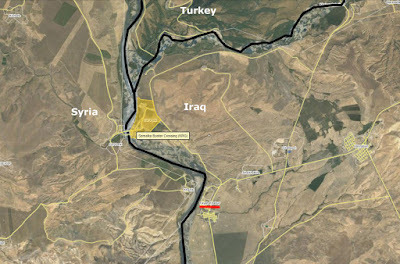 The Semalka border crossing is used by the United States Central Command to ship military equipment to the Syrian Kurds, who make up the majority of the Syrian Democratic Forces (SDF). The SDF has played a key role in the ongoing military campaign to remove ISIS from the country. The American funding, training and equipping of the SDF caused a rift in U.S.-Turkish relations - the Turks regard the Syrian Kurdish YPG party to be nothing more than an extension of the designated terrorist Turkish Kurd separatist group known as the PKK. I have no doubt that Erdoğan and al-'Abadi are working closely to curb Kurdish desires for greater autonomy. The Syrian Kurds hoped that their contributions in the fight against ISIS would gain them favor with both the United States and the regime of Syrian President Bashar al-Asad and lead to some form of autonomy like their cousins in Iraq. Al-Asad has already said that after the removal of ISIS, he intends to reassert regime control over the entire country - no Kurdish self-rule. When all is said and done, despite their contributions and sacrifices, the Kurds will be no better off than they were before ISIS. In some cases, it will be worse. * The KRG is composed of Dohuk, Arbil and Sulaymaniyah provinces. The impending fall of al-Raqqah - then what? It is only a matter of time before elements of the U.S.-backed and supported Syrian Democratic Front (SDF) complete the liberation of the city of al-Raqqah from the remaining fighters of the Islamic State of Iraq and Syria (ISIS). As we have known for sometime, the handwriting is on the wall* for ISIS in its self-declared capital city. Unfortunately, as with many of these military operations conducted by the Iraqis, the Syrians (with their Russian, Iranian and Hizballah allies) and the SDF, there is great loss of civilian life as ISIS mounts a vigorous defense. ISIS's tactics include the use of large numbers of suicide vehicle-borne improvised explosive devices (SVBIED), booby-traps, minefields, and the indiscriminate use of human shields. To prevent unnecessary loss of innocent life, the tribal elders of the greater al-Raqqah area have brokered an agreement between the SDF on one side and ISIS on the other. There are conflicting reports of the actual terms of the agreement, but in essence, the deal provides for safe passage from the city for ISIS fighters in return for surrender of the city to the SDF and the safety of the local population. It also allows Syrian members of ISIS to safely surrender to the SDF. The confusion over the agreement revolves around the safe passage for ISIS fighters. Initially, it was believed that the tribal elders' deal only applied to Syrian members of ISIS, specifically excluding foreign members of the group. This issue is of concern to coalition member France, which believes that some of the foreign ISIS fighters in the city are responsible for the multiple ISIS attacks on France over the past three years. They are opposed to safe passage of these fighters to an area still under ISIS control. The fighters from al-Raqqah have been relocating to the portions of Dayr al-Zawr governorate southeast of al-Raqqah in the Euphrates Valley. The U.S.-led coalition, known as the Combined Joint Task Force - Operation Inherent Resolve (CJTFOIR), claims to have had no role in the agreement struck among the tribal leaders, SDF and ISIS. There is precedent for such an agreement - in all cases, ISIS fighters have been afforded safe passage to other ISIS-held areas. CJTFOIR has in the past opposed such deals, and recently criticized the Syrian regime when it entered into such an agreement that allowed ISIS fighters safe passage to Dayr al-Zawr from positions on both sides of the Syrian-Lebanon border. In this instance, American fighter aircraft kept the ISIS fighters at bay in the desert until an arrangement was reached with the Russians. It appears that ISIS fighters in al-Raqqah seized the initiative and capitalized on the ambiguity in the wording of the agreement and dispatched some of its foreign fighters towards Dayr al-Zawr using al-Raqqah civilians as human shields. This is happening as the SDF is preparing for what it says will be the final assault on the city. 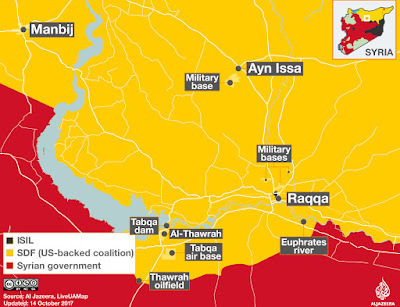 The remaining ISIS pocket is about half a square mile (1.5 square kilometer), or less than 10 percent of the city. It will shortly be under SDF control. Then the SDF and local government will begin the task of clearing the area of ISIS munitions, booby traps, and isolated holdout fighters, plus dealing with the humanitarian issues that always follow military action. The battle against ISIS will continue. For some time, we analysts have been predicting the last battle with ISIS as a territorial entity (it will remain an ideological entity for some time to come) will take place somewhere in the Euphrates Valley near the Syrian-Iraqi border, most likely in Syria. As the time of that final battle draws near, we see the political maneuverings beginning in Syria. However, across the border in Iraq, the political battles are in full swing. 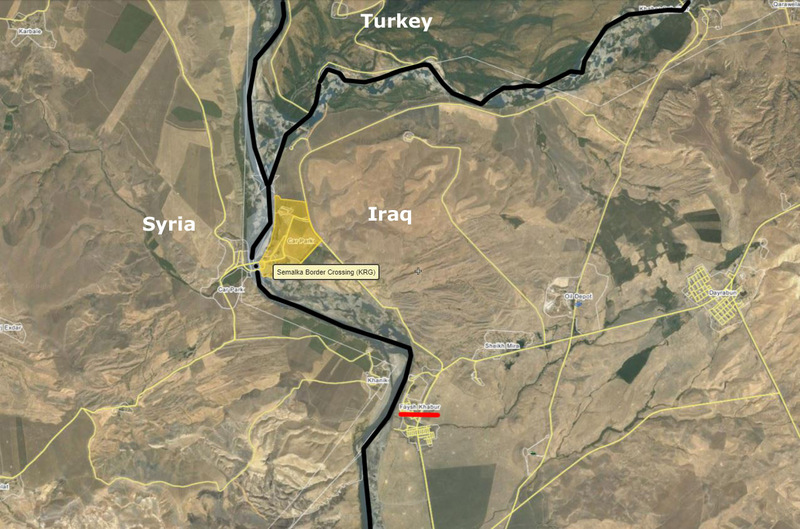 Almost immediately after Iraqi forces reduced the ISIS-held Hawayjah pocket southeast of Mosul and southwest of Kirkuk, two events occurred simultaneously - I am not sure if it was also coincidentally or consequently. The Kurdish Regional Government (KRG) held a referendum on independence - which to no one's surprise, passed overwhelmingly. As a result, the Iraqi government retaliated by limiting international flights to/from the KRG area, suspending any oil deals worked out by the KRG, and is seeking to re-open an oil pipeline that bypasses the Kurdish area. Probably more importantly, however, is Baghdad's demand that Kurdish peshmerga forces begin to withdraw from the oil-rich city of Kirkuk. Kirkuk has been under Kurdish control since the ISIS sweep across northern Iraq in 2014. The city has been a source of friction between the central government in Baghdad and the Kurds. The Kurds regard Kirkuk as a Kurdish city - about half the residents are in fact Kurds - while the Iraqi government considers it an Iraqi/Arab city. This is complicated by the fact that Turkey has a special interest in protecting the Turkmen minority that represents about 20 percent of the population - in the past it has threatened military intervention to prevent Kurdish control of the city. The Kurds have an emotional tie to the city. During the Saddam Husayn era, Kirkuk was one of several Kurdish cities singled out for "Arabization" (ta'arib) - a process by which Arabs were forcibly brought to the area to supplant Kurdish residents, who were removed to villages in the desert areas of southern Iraq. As the Kurds see it, the Iraqi government - now backed by Iraqi Shi'a militias - is again forcing them to leave. They feel betrayed after their key role in the liberation of northern Iraq from ISIS occupation. In Syria as in Iraq, the Kurds played a key role in the defeat of ISIS. Like their brethren to the east, the Syrian Kurds are seeking political recognition for their contributions. Turkey is, of course, pushing both Iraqi and Syrian governments to limit Kurdish self rule and autonomy. The Turks in the past lobbied against America's creation of the SDF and then using this force to liberate al-Raqqah. The Turks insisted that they lead a Free Syrian Army force to re-take al-Raqqah, claiming that the Kurdish-majority SDF would not be welcomed by the predominantly Sunni Muslim Arab city. 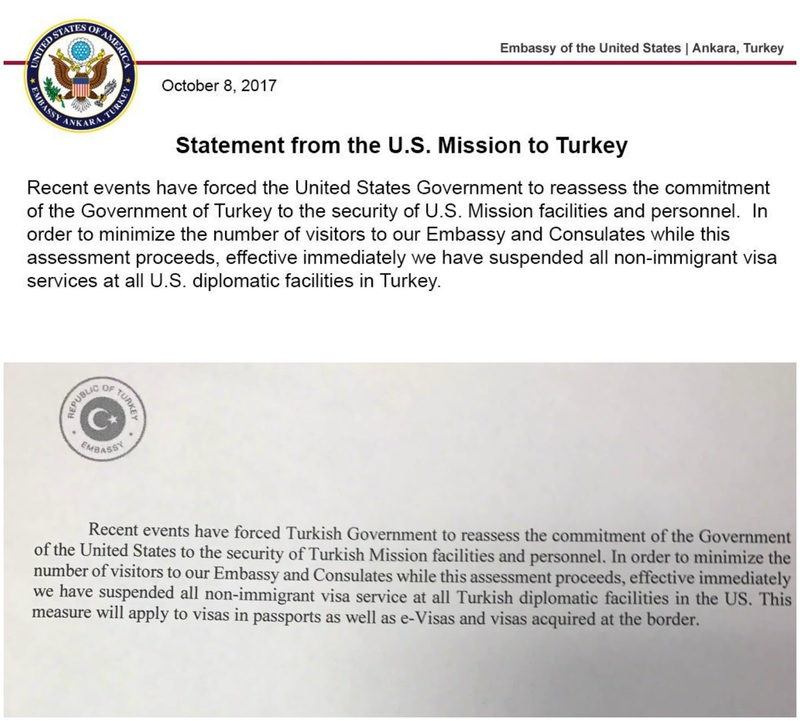 Since the Turks regard the Syrian Kurdish group that is the key member of the SDF as nothing more than an extension of the PKK, a Turkish Kurd separatist group labeled as a terrorist group by Turkey, the United States and European Union - they criticized "using one terrorist group to fight another terrorist group." That said, Damascus has stated that there will be no autonomy in northern Syria, that the Syrian military will reimpose control over all Syrian territory. The problem with that - this puts the Syrian/Russian/Iranian (and I dare say Turkish) axis on a direct path for a possible confrontation with the U.S.-backed SDF and possibly the anti-ISIS coalition. - Has the United States made any commitment to the Syrian Kurds after the defeat of ISIS? - Will the United States mediate on behalf of the Iraqi Kurds over Kirkuk? - What will be the effect on the relationship between NATO ally Turkey and the United States as Ankara tilts toward its new-found alliance with Tehran and Moscow? * Forgive the Babylonian metaphor - the handwriting on the wall refers to a mysterious hand that appeared at a feast hosted by Nebuchadnezzars's son Belshazzar in the sixth century BCE. The message: Belshazzar's days are numbered. It is expected that President Donald Trump will add Iran's Islamic Revolutionary Guard Corps (IRGC) to the list of designated terrorist organizations later this week. The special operations branch of the IRGC, known as the Qods Force ("Jerusalem Force"), has been so designated since 2007. The designation of the IRGC as a terrorist organization will come either at the same time or close to the same time that the President declines to certify Iran in compliance with the Joint Comprehensive Plan of Action (JCPOA), more commonly called the Iran nuclear deal. Current U.S. law requires the President to certify to Congress every 90 days that Iran is adhering to the requirements of the agreement. The IRGC was formed shortly after the 1979 Revolution as a counterweight to the Iranian regular armed forces, who were viewed with distrust by the new leadership, wary of the military's previous loyalty to former Shah Reza Pahlavi. It has since become part of the overall Iranian armed forces structure - some would say the premier organization of the armed forces. They are also responsible for internal security, protecting the revolution and the Islamic Republic system of government (vilayet-e faqih). The IRGC currently comprises about 125,000 personnel organized into ground, aerospace, and naval forces, plus a 90,000-strong basij paramilitary militia. Its naval force is the primary force tasked with the control of the Persian Gulf, particularly the Strait of Hormuz. Portions of the transit lanes of the narrow strait are within Iranian territorial waters, but are open to "innocent passage" under international law. IRGC naval units routinely harass U.S. Navy ships transiting the waters to and from the Persian Gulf. The United States Fifth Fleet is headquartered in Manama, Bahrain. My history with the IRGC goes back to 1982. I was serving as a Middle East operations officer attached to an element of the National Security Agency. We were concerned about the increasing Iranian presence in Lebanon - that presence was facilitated by the Syrian government of Hafiz al-Asad, father of current president Bashar. It was not long before we discovered that the Iranian operatives in the Levant were members of the IRGC, having set up the IRGC-SL (Syria and Lebanon contingent), one of the founding elements of the special operations unit that later became known as the Qods Force. This contingent was responsible for the creation of a unified group of Shi'a militias in southern Lebanon and the Biqa' Valley in 1982 - this group eventually came to be known as Hizballah (the Party of God). It was this group that embarked on a series of terrorist acts in the name of "the Resistance" (al-muqawamah). The IRGC and Hizballah kept all of us busy in the 1980s. I continued to be tasked with operations against the IRGC for virtually the remainder of my career. - 1988 / mine attack in the Persian Gulf against the USS Samuel B. Roberts (FFG-58). This led to the retaliatory Operation Praying Mantis in which U.S. forces inflicted severe damage on the Iranian Navy and facilities in the Gulf. I was pleased to be asked to be one of the officers who selected the targets for the initial attacks. In addition to the 2007 designation of the Qods Force as a terrorist group, other IRGC officials were also sanctioned. President Trump's expected action will designate the organization as a whole. I have to agree with him. 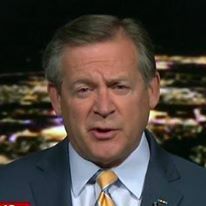 I would hate to have to tell Lieutenant Colonel Robin Higgins, USMC (Retired) - a colleague as we worked these issues, and yes, the widow of Colonel Rich Higgins - that we do not regard these thugs as terrorists. 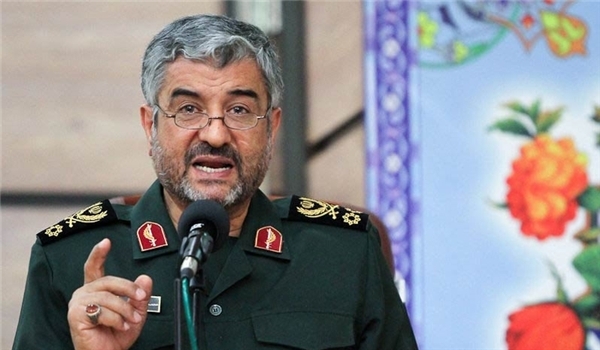 So now I hear the IRGC commander and his spokesman spout drivel such as, "We are hopeful that the United States does not make this strategic mistake. If they do, Iran’s reaction would be firm, decisive and crushing and the United States should bear all its consequences. If the news is correct about the stupidity of the American government in considering the Revolutionary Guards a terrorist group, then the Revolutionary Guards will consider the American army to be like Islamic State all around the world." You may not like being called out for the terrorist entity you are, but do you really want to get into an armed confrontation with the United States? You are terrorists - don't be foolish terrorists. Is anyone else growing weary of Turkey's Erdoğan? The increasing tensions between the United States and Turkey - both nominally NATO allies - reached a new level with both sides suspending consular services in their respective countries (see image for the circulars). The current state of relations between Ankara and Washington is not hard to fathom, despite the NATO veneer. Turkey has always been an outsider in NATO circles, most likely because of its majority-Muslim population and its geographic position - 99 percent of Turks are Muslim, and 95 percent of the country is on the Asian continent. However, it is that geographic position that was, and remains, important to NATO - the country bordered on what was the Soviet Union. Today, its geographic position gives U.S.-led coalition pilots flying from Turkish air bases easy access to the airspace of Iraq and Syria in the fight against the Islamic State in Iraq and Syria (ISIS). On the surface, it sounds like Turkey and the United States should be close allies, participating in a combined operation against a common enemy. Normally, that would be the case, except for one factor - Turkish President Recep Tayyip Erdoğan. Since coming to power in 2014, Erdoğan and his Justice and Development Party (AKP) have been instrumental in increasing the influence of Islam in what was was touted by political scientists as the model of a Muslim-majority democracy. Simple changes, such as allowing women to wear the hijab (head scarf) while working in government offices, were the start. When Erdoğan's wife began wearing the hijab full time, many Turkish women believed the AKP party, of which Erdoğan is a co-founder, was moving towards increased Islamism in the country. The AKP identifies itself as favoring moderate Islamism (I am not sure there is such a thing), pro-West and pro-American. That may have been the initial position and intentions, but given Erdoğan's actions over the last two years, it is hardly the case. The party, and Erdoğan himself, have made alarming overtures to Russia and Iran, aligning himself with the East, not the West. It should not be surprising - it is where Erdoğan lives. In fact, it is Russia, Iran and Turkey who are sponsoring the Syrian talks in Astana, Kazakhstan. The three countries believe they should be the key decision makers on the future of Syria, although for different reasons. Russia's President Vladimir Putin wants a regime in Syria (Bashar al-Asad will do) which he can manipulate and guarantee Russian access to the Tartus naval facility on Syria's Mediterranean coast and Humaymim air base near Latakia. Putin has secured a renewable 49-year lease on both. The Iranians also want a regime in Damascus that is friendly to Tehran. Bashar al-Asad fits the bill very well, since he is a member of the 'Alawi religious minority, considered by many to be a Shi'a sect when it suits their needs. The Iranians, who regard themselves as the leaders and protectors of all things Shi'a, want al-Asad in power to complete the "Shi'a Crescent" that runs from Tehran to Baghdad to Damascus to Beirut. They believe themselves to be the major power in this entire area. So, what is Turkey's reason for allying with the likes of Russia and Iran? It's complicated, but one factor emerges high on the list - the Kurds. The Kurds, the largest ethnic group in the world without their own country, inhabit large areas of southeastern Turkey, western Iran, northern Iraq and northern Syria. Accurate population numbers are hard to come by - estimates range between 35 and 45 million. In all four countries, the Kurds are seeking autonomy and/or independence. They have achieved some autonomy in Iraq - the Kurdish Regional Government is thriving. The Iraqi Kurds recent referendum drew anger from all of the host countries, including threats of military action from Turkey. Turkey is against any autonomy or independence for any Kurdish enclave, fearing that such moves will only incite Turkey's Kurds - as much as 25 percent of the population, to demand the same right. The Kurdish Workers' Party (known by its Kurdish initials PKK) is a separatist organization that has been waging a campaign of violence against the Turkish government, seeking equal rights and Kurdish autonomy in Turkey. The United States has designated the PKK a terrorist organization. The Kurdish issue becomes more complicated by the situation in Syria. In the fight against ISIS, the United States created the Syrian Democratic Front (SDF) to be its boots on the ground. The SDF is mostly composed of Kurds of the People's Protection Units (YPG), the militia of the Syrian Kurdish Democratic Union Party (PYD). The Turks regard the PYD/YPG as nothing more than an extension of the PKK. To them, they are one in the same, and are all the enemy. There are other groups in the SDF - Arabs and Assyrians - but the bulk of the fighters are Kurds. They have proven themselves to be an effective fighting force, and are on the verge of seizing ISIS's self-proclaimed capital city of al-Raqqah in north central Syria. American support for the Syrian Kurds has created a severe strain on American-Turkish relations. The Turks insisted that the liberation of al-Raqqah be done by the Turkish-backed Free Syrian Army (FSA) with Turkish military support (air, armor, artillery, logistics, and special forces). The United States argued - correctly - that the Turkish/FSA force was too far away from al-Raqqah and that time was of the essence in the fight against ISIS. The U.S. field commander cited intelligence that the city was the staging ground for terrorist attacks against the West. The Turks and FSA launched an incursion into northern Syria called Operation Euphrates Shield, fighting not only ISIS, but the SDF as well. This was an unnecessary, ill-advised, poorly-planned, badly-executed and easily-neutralized effort. The SDF, in a rare bit of cooperation with the Syrian regime, effectively cordoned the Turkish-led force into a small pocket, where they remain today. Turkey's response - attacks against Kurdish towns along the entire length of the Syria-Turkish border. For more, see my analysis of March 2017, SYRIA: Has Turkey been marginalized and the Americans thrust into the fight? The latest news from Turkey is Erdoğan's agreement to purchase the state-of-the-art S-400 air defense system (Russian: C-400 Триумф, Triumph / NATO reporting name: SA-21 Growler), despite warnings from senior American and other NATO officers that the system is not compatible with the combined NATO air defense system and will not be integrated into the common defense network. If Turkey wants to continue to be a NATO ally, it needs to act like one. You have to ask, Mr. Erdoğan, whose side are you on? Trump and the Iranian nuclear deal - did Tehran just blink? Analysts and journalists around the world are trying to decipher President Donald Trump's remarks made while hosting a White House dinner for senior U.S. military officers and their spouses. The President said to a group of reporters, "You guys know what this represents? Maybe it's the calm before the storm," setting off a wave of speculation of possible impending military action. It's hard to know what the President means, but if I had to guess, I would say that he is referring to his intention to decertify Iran's compliance with the Joint Comprehensive Plan of Action (JCPOA), more commonly called the Iranian nuclear deal. The President is required by law to certify Iranian compliance every 90 days. When Mr. Trump declines to do so, as it is expected he will do next week, the issue will pass to Congress. Congress has 60 days in which it can reimpose sanctions on Iran. If Congress reimposes sanctions, that will cause angst among our European allies, as well as the Russians and Chinese. The Europeans support the Iran nuclear deal because it was the lifting of U.S. sanctions that allowed them to reopen economic ties with the Islamic Republic. American sanctions will force European companies to re-think any deals with Iran for fear of being sanctioned themselves. "The JCPOA, the Iran nuclear deal, was not about stopping an Iranian nuclear weapons program. Russia, China and the Europeans are not worried about a nuclear Iran - Iran is not threatening them, Iran is threatening Israel and the United States. "The deal was about sanctions relief and greed. Russia, China and the Europeans want to sell stuff to Iran, and Iran wants to buy it. "Thanks to John Kerry's cave-in on virtually every demand and the spineless IAEA, we have no way of knowing if they are in compliance with the agreement or not. "It seems incomprehensible to me that the Iranians - and I've been working against them for decades - are not working on a nuclear weapons program." During the negotiations that resulted in the JCPOA, Iranian representatives were able to negotiate from a position of strength. They assessed - correctly - that the Obama Administration was anxious to conclude a deal, even a bad one, and would acquiesce to a variety of Iranian demands. The U.S. team, led by Secretary of State John Kerry, caved in on virtually every Iranian demand, and did not push the conditions the public was told were going to be part of the agreement. Does anyone remember "anywhere anytime inspections?" UNSCR 1929, adopted in June 2010, included the decision that "Iran shall not undertake any activity related to ballistic missiles capable of delivering nuclear weapons, including launches using ballistic missile technology, and that States shall take all necessary measures to prevent the transfer of technology or technical assistance to Iran related to such activities." I highlighted the words "shall not" for a reason. During the nuclear program talks in Vienna, Iranian Foreign Minister Mohammad Javad Zarif - a skilled and experienced American-educated negotiator - demanded that the ban on ballistic missile development be lifted as part of the agreement. The Iranian argument was quite skillful and nuanced - if they were going to forgo a nuclear weapons program, any missile development therefore could not be related to systems "capable of delivering nuclear weapons," the wording in UNSCR 1929. In response to Minister Zarif's demand, Secretary Kerry agreed that the missile development restriction would expire completely after eight years from the implementation of the agreement, and in the intervening period - and this is a quote - Iran is "called upon not to" develop ballistic missiles. As a result, UNSCR 2231 of July 2015 was approved and superseded UNSCR 1929 - the JCPOA took effect in January 2016. As agreed between Kerry and Zarif, the agreement states that Iran is "called on not to" develop nuclear-capable missiles or conduct launches. It is Iran's continued aggressive ballistic missile development program that has angered the Trump Administration. In response to President Trump's criticism of the missile program, the Iranian parliament voted to increase spending on ballistic missile research and development. However, in a rather startling turnabout, it appears that someone in Tehran is beginning to understand the difference between the administrations of Barack Obama and Donald Trump. According to news reports, Iran has sent out feelers to the six powers who are signatories to the JCPOA that it is now willing to open talks about its ballistic missile program - the phrase cited was "possible talks on some dimensions of the program." It seems that some of the bravado and bluster normally associated with Iranian pronouncements has abated. I believe that Tehran just blinked.